Dr. Rose’s innovative “CTRx” research — first in world use of beam-modified CT scanner to treat human brain tumors — was foundational for advanced linear accelerators with scanners built in. Image-guided radiotherapy enables physicians to locate, track and target tumors with high precision. His work, performed with Huntington Medical Research Institutes, was published in 1999 in the International Journal of Radiation Oncology, Biology and Physics. The son of Helen Johnstone Rose and Joseph Rose, he was a Pasadena native born in January, 1934. He studied at Arroyo Seco and graduated from Polytechnic. Fiery horse Gizmo was his steed at The Thacher School in Ojai (his father’s alma mater). Princeton University (where he was coxswain on several rowing teams) conferred his A.B. Dr. Rose earned his Doctor of Medicine from the University of California at San Francisco (UCSF). Post-doctoral internship and residency were at L.A. County Hospital, and fellowship at UCSF. He served as flight surgeon with a helicopter battalion. Patients were central to Dr. Rose and Dr. Michael Kadin, his 25-year partner. Together they designed and led Huntington’s radiation oncology department. Triple board-certified in radiation oncology, radiology and nuclear medicine, Dr. Rose applied his expertise in evaluation, planning and treatment of breast, prostate, brain and other cancers and thyroid disease. A founder of Hill Medical Corp., he was also on the teaching faculty, and chief of Radiation Safety for Huntington Hospital. “Dr. Rose was a model clinician, keenly interested in his patients and the best treatment methods. 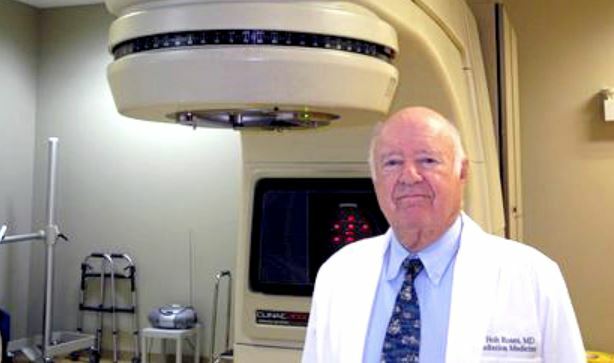 He did not boast, nor focus on his ‘career.’ He loved his work and kept abreast of new developments,” said Dr. Robert Henderson, former USC director of nuclear medicine. Generous, quiet philanthropy by Dr. and Mrs. Rose benefitted numerous educational, medical, scientific, research, arts and social service nonprofits. Travel adventures in the U.S. and worldwide, flying, sailing, tennis, fly fishing, hiking, poetry and gardening were favored pursuits. 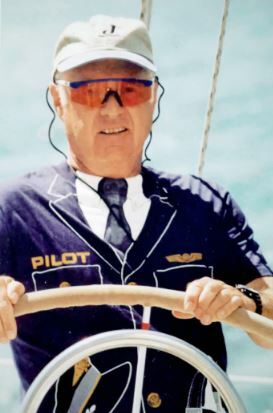 Dr. Rose enjoyed piloting a Cessna 206 Turbo in the West and Canada, and racing/cruising a Sailing Hall of Fame Johnstone-designed J120. He and Halaine maintained strong relationships with Scottish kin and other extended family. Early on, he married Darlene Strange, with whom he had two children, Walter and Louise. Louise’s sons were top priority. Janet Dunton Rose was his second wife. Dr. Rose’s life work and memory are a blessing to Halaine, his wife of 27 years; his sisters Catherine and Margaret (Tony Badger); his son Walter and daughter Louise (Paul Curcio); grandsons Michael and Ryan; sisters-in-law, brothers-in-law, nephews, nieces and cousins. Two funds are now established: “Huntington Medical Research Institutes” Dr. J. Holt Rose Honor Fund (686 S. Fair Oaks, Pasadena 91105); “American Technician Society, Jacobs Technion Cornell Innovation Institute” Dr. J. Holt Rose Honor Fund (501 S. Beverly Drive, Beverly Hills 90212). Your gifts are welcome to continue Dr. Rose’s legacy.